BMW hopes to build on the success on its big GS with a larger capacity new engine for 2019, featuring ‘Shift Cam’ variable valve timing. 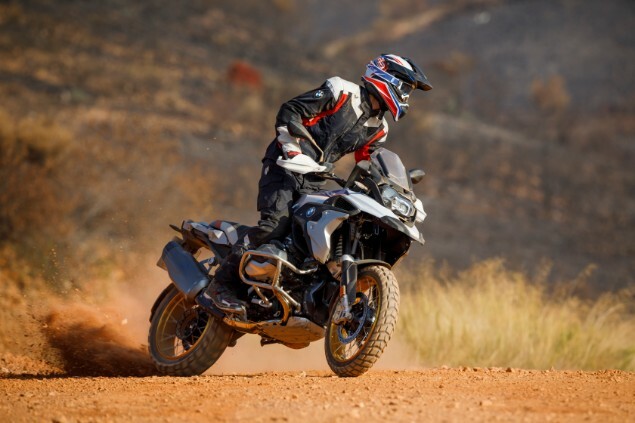 The new R1250GS also comes with a higher level of standard equipment, more advanced optional rider aids and comes in a new palate of colours, but the chassis and styling all remain the same. 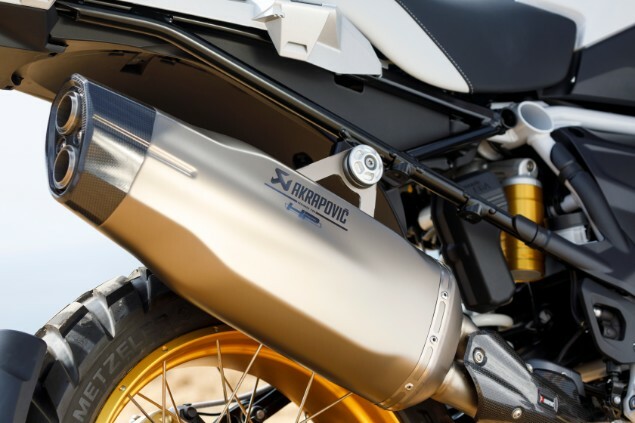 An extra strip of ‘Shift Cam’ logo’d plastic on each of the boxer engine’s rocker covers is the only way to tell the difference between the new machine and the outgoing R1200GS. There’s a lot of clever technology going on inside the wider-bored and longer-stroked new 1254cc motor, which will also be fitted to the 2019 R1250RT tourer. When you’re riding you can’t detect the ‘Shift Cam’ seamlessly working in the background, which is the best compliment you can give. There isn’t a single hesitation or stutter in the engine’s delivery when the inlet cam shifts from partial to high lift – all you feel is more low and midrange power and an extra kick up high when you ask for it. The 1200 never lacked grunt, but the new 1250 has so much more in the lower reaches of the rev-range. You could spend the whole time riding around in sixth gear, if you wanted and the R1250GS would always pull cleanly. It’s easy to feel the motor’s extra 14ftlb of torque and BMW claim at steady speeds you’ll also get an extra 4% extra miles to the gallon. Not only is the new motor more flexible, it’s connected to one of the best-sorted ride-by-wire systems in biking, making the new R1250GS smoother and easier-to-manage than ever. Producing 136bhp (up from the 1200’s 123bhp) the R1250GS is as rapid as it is torquey with a pleasingly throbby flat twin exhaust note. It may still not have KTM 1290 Super Adventure-levels of power, but there’s more than enough for spirited road riding, not to mention playing around in the mud. 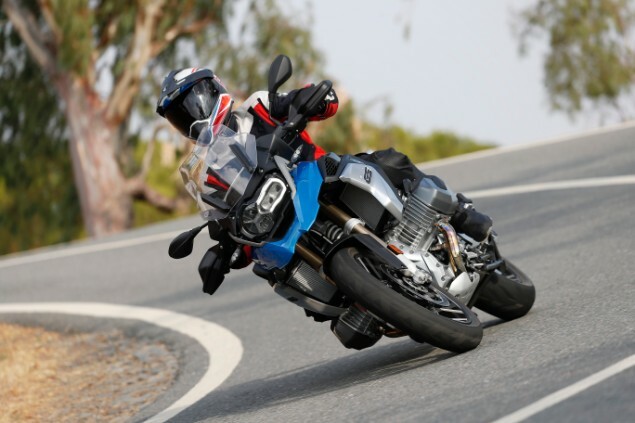 Ergonomics and handling are all as the R1200GS, so that means all-day comfort for all shapes and sizes of rider (and it comes with a number of standard and optional seat heights). Ride quality is plush and controlled, especially with the optional semi-active electronic suspension fitted and the BMW is far more agile than its Tonka Toy looks would suggest. If you’re coming to a GS from a sports bike, you won’t be disappointed with the way it delivers its speed and carves through corners. Off-road the R1250GS is as impressive as ever for such a big machine, especially with its optional Enduro Pro electronic rider aids helping you along. 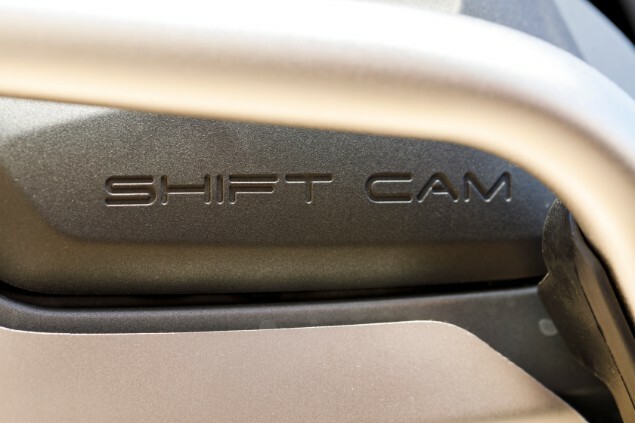 With the Shift Cam’s delivering more low-down power to assist you, the BMW excels on fast gravelly trails, but it’s just as adept at tackling technical, rock-strewn, slow-speed sections. BMW have changed four-piston radial Brembo calipers for own-brand (by Hayes) versions, but there’s no drop in performance and there’s still lots of feel and dependable braking power. ABS comes as standard, or cornering ABS as an option. In base trim you get more bang for your buck. The new R1250GS now comes with a TFT dash with connectivity and LED headlights (adding 5kg), but as ever all the usual optional touring, off-road, performance, electronics and cosmetic extras are available, including two new upgraded rider aids. ‘Dynamic Brake Control’ now comes with within the optional ‘Riding Modes Pro’ pack and automatically closes the throttle butterflies when you apply the brakes hard. It’s designed to improve stopping distances in a panic situation, where a rider may not fully shut the throttle when squeezing the brake lever. A new ‘Hill Start Control Pro’ is an evolution of the current hill-hold system. If the bike senses (via its internal gyro) it’s on a gradient of more than five degrees, it automatically applies the rear brake until you’re ready to pull away. 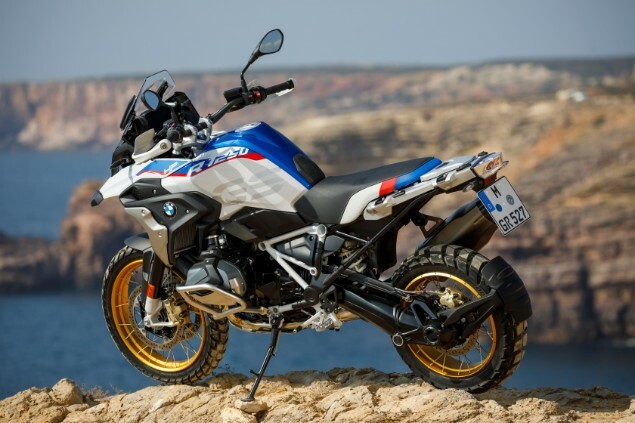 New Shift Cam technology has lifted the new BMW R1250GS, making it more bikes in one than ever. Now it’s an even more relaxed tourer, sharper sports bike, better off-roader and all set to continue the big adventure’s incredible success story. 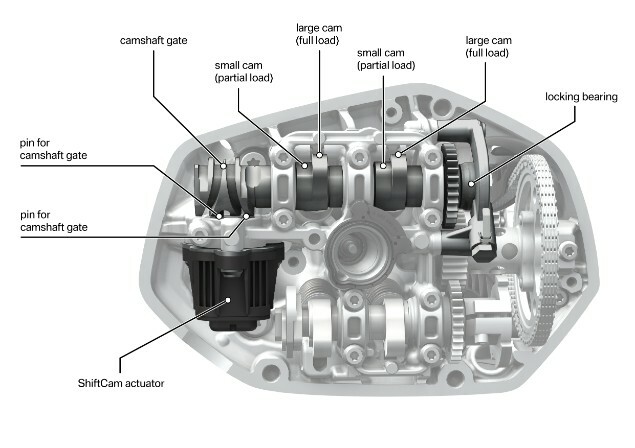 The R1250GS’s inlet camshaft has two different cam profiles. At small throttle openings and low revs, the cams are in their ‘partial lift’ position, for optimum low and midrange power. When the inlet valves open they’re staggered, creating more swirl in the combustion chamber for a better burn. Open the throttle hard and fast (at any revs or gear) and the inlet cam slides across the top of the head in just five milliseconds, guided by an electronically-controlled shift gate, for maximum performance. The camshaft stays in this position over 5000rpm, which is 80mph in top gear.